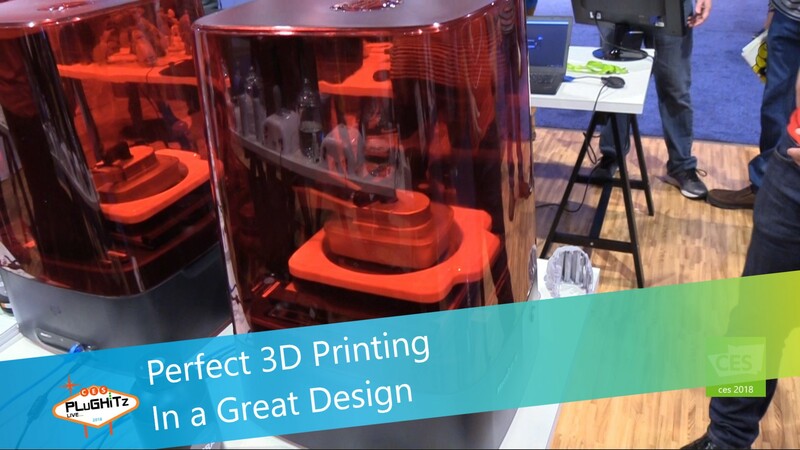 The MoonRay Desktop 3D Printer from SprintRay is an all in one, high resolution system with a compact design that can fit into any workspace. It allows you to make a variety of different things from engineering to character design and everything in between. It's also wireless with incredible accuracy, solid durability, and great print speed at an affordable price. It also includes advanced hardware, software, and materials. Both of their printers offer 20, 50, or 100 Microns of Z Resolution, up to 1 vertical inch per hour	Print Speed and use Standard, Castable, Dental Materials. With MoonRay D, you are able to print features as small as 75 microns in size. It's perfect for applications that demand the best in detail, precision, and accuracy. It's perfect for dental labs producing crowns and bridges, and for jewelers who print pieces for casting. The MoonRay S has a minimum feature size of 100 microns, combined with a generous build area. It's ideal for creators and makers who need a larger build area, but still want great detail, accuracy, and surface finish. It is great for character designers, dentists, and engineers.